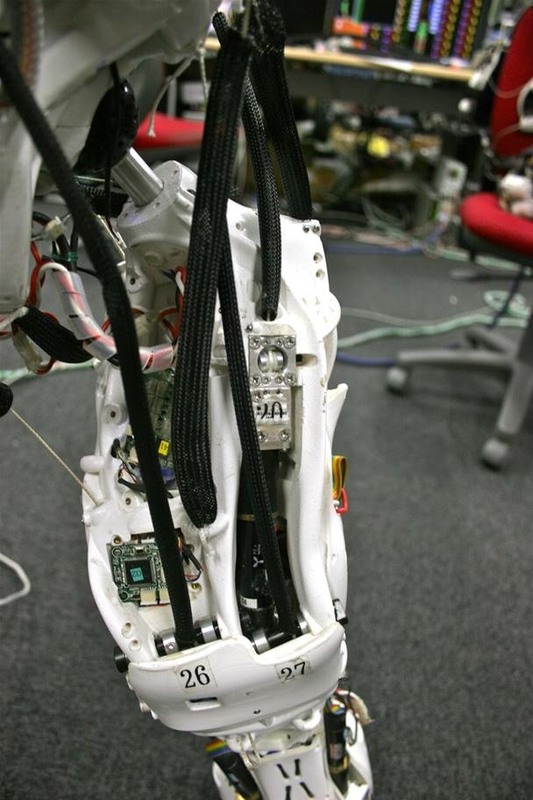 Kojiro the robot has muscles, tendons and a flexible spine- just like you! Combine Kojiro with the doppelganger bot and you'll have something supremely sci-fi freaky. 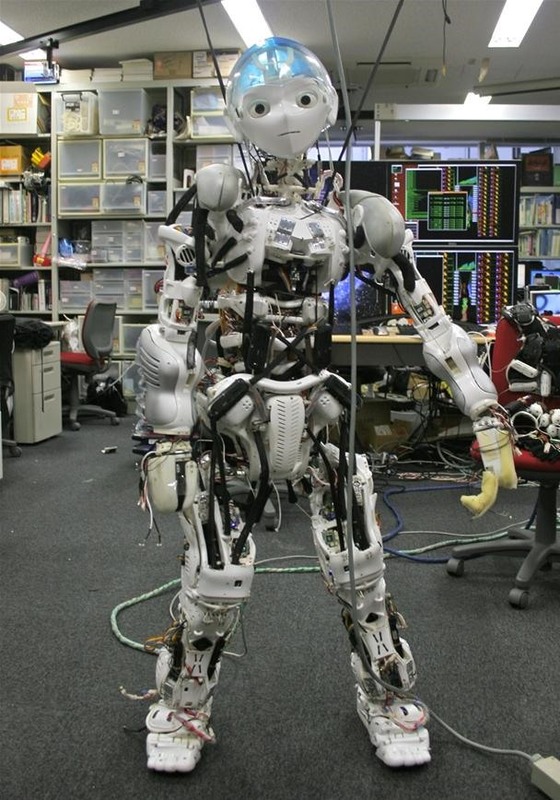 "Kojiro is an advanced musculoskeletal humanoid robot under development at the University of Tokyo's JSK Robotics Laboratory. Kojiro's creators designed its body to mimic the way our skeleton, muscles, and tendons work to generate motion. The goal is to build robots that are light and agile, capable of moving around and interacting with the physical world in the same way our flesh bodies do." 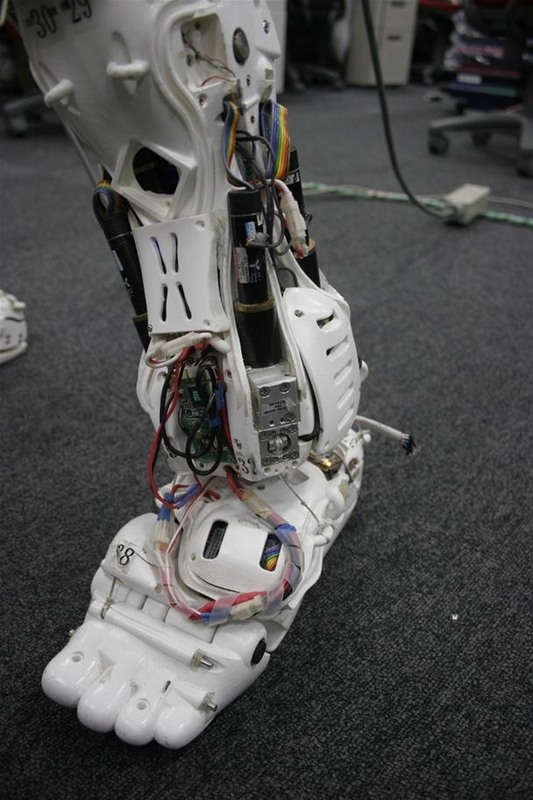 Read more about Kojiro at IEEE Spectrum. 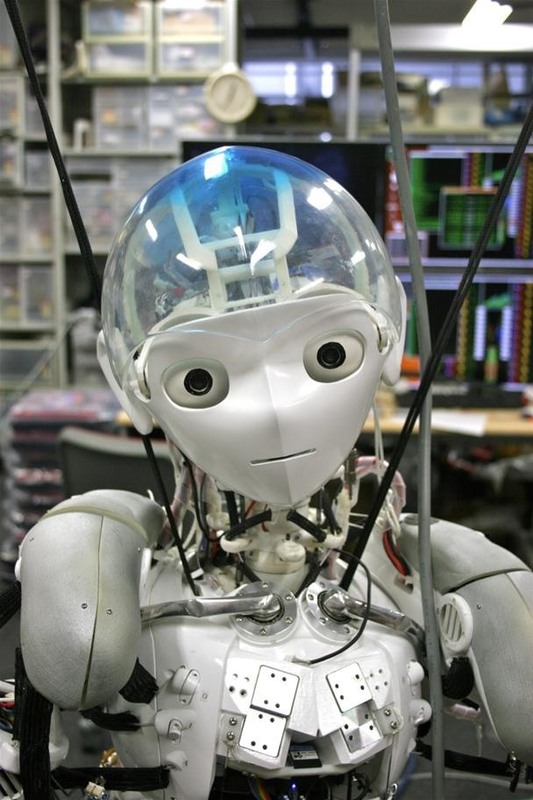 Previously, Humanoid Robots To Take Over the World. Robot Dance Off Gets Creepy. I really think they are over complicating this whole robot thing. I want to look it more and more.